The Master Equipment grooming arm clamp converts any table into a grooming table. 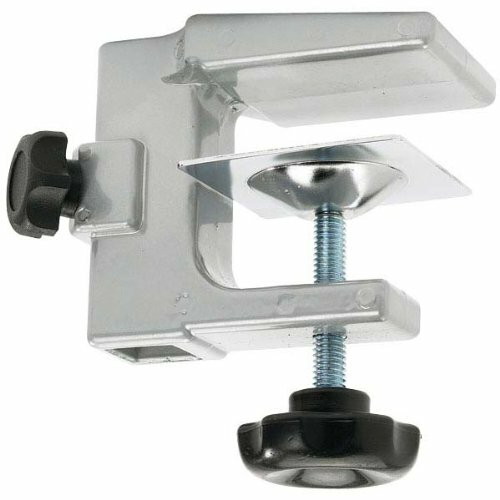 The easy-to-grip knob adjusts and secures the clamp to countertops and tables up to 1-1/4-inch thick. A separate knob adjusts the height of the grooming arm for the comfort of the groomer. The rugged powder-coated aluminum surfaces are wear-resistant and stand up to heavy use. The clamp fits any 3/4 square inch grooming arm. Measures 6-1/2-inch length by 6-1/2-inch width by 2-1/2-inch height.